Leila during the double under portion of today's metcon. 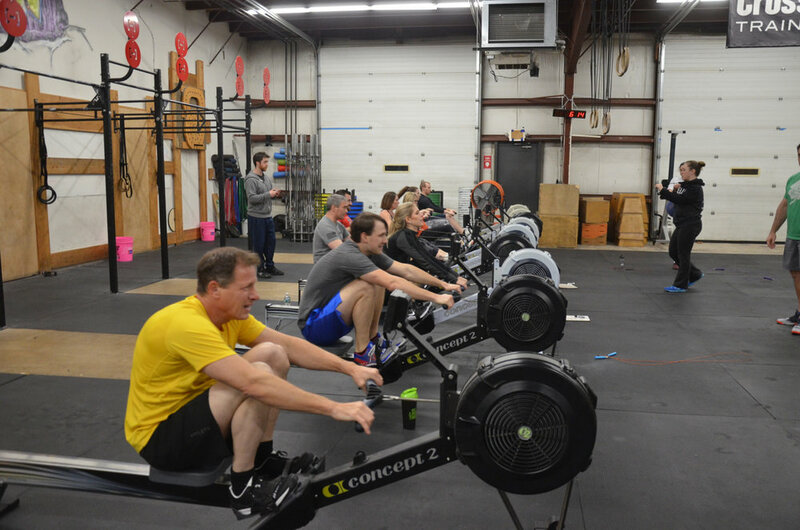 The 6pm class during their 3x500 meter row time trials. 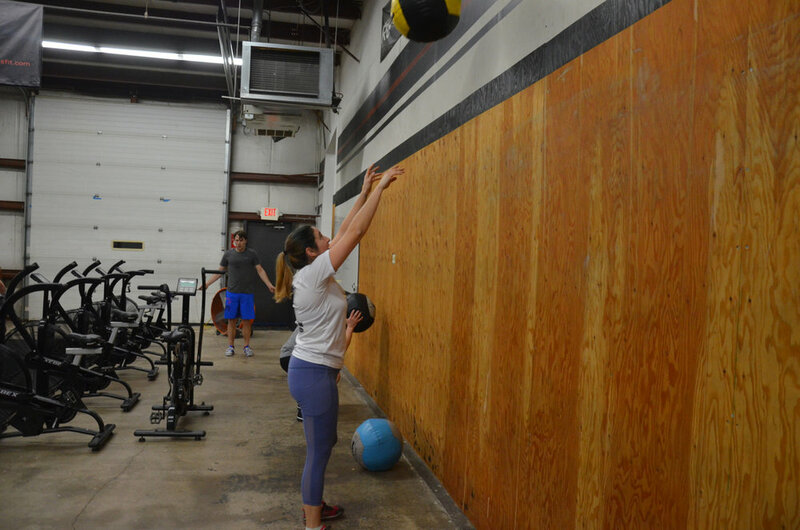 Sara making sure to reach the proper heigh for wall-balls.